Chief financial officer, Marty Chavez, says differentiated content, scale and global reach are now critically important ahead of MiFID II. Goldman Sachs is continuing to make progress with its preparations for changes to research, liquidity provision and trade execution under MiFID II. Speaking on the investment bank’s third quarter earnings call, chief financial officer Marty Chavez, explained the impact of MiFID II means differentiated content, scale and global reach are now critically important. “On the execution side and staying close to our clients, understanding the liquidity provision, execution capabilities that they need and designing them. We have the software, we have the people, and so we are working on all of that and that is progressing,” he said. Chavez added that having recently announced Goldman Sachs Asset Management’s intent to pay for research, as many other buy-side firms have also decided, discussions with regulators across Europe and the US are ongoing. “The emphasis is MiFID II will make it even more important than it’s ever been, and it’s always been important to have scale and depth and breadth, and I wouldn’t trade our franchise with anyone else,” Chavez concluded. 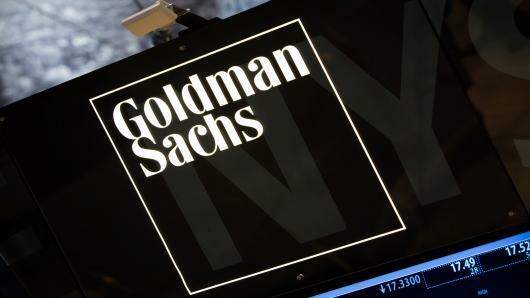 The institutional client services business at Goldman Sachs saw revenues decrease 17% compared to the same three-month period last year, with fixed income trading down a significant 26% to $1.45 billion. The investment bank said the decline in fixed income was down to a challenging environment characterised by low levels of volatility and low client activity.